High school students, it’s that time of year again… Exam time! Oh joy of joys. To assist you in this hour of need, we’ve got a few tips to help you out on the ACT and SAT exams that are fast approaching, along with some important dates and deadlines to help you stay on track. Have a question regarding either exam? Post it in a comment and we’ll answer it for you ASAP! Important Dates: If you’ve already registered for the next test, it’s just around the corner on May 7th. If you haven’t yet taken the test this Spring, you should register for the June 1st test date by May 7th. Head to collegeboard.org to register online asap. Study Materials: The College Board site is a veritable treasure trove of helpful links. Nobody should go into the exam without becoming very familiar with it–and that includes much more than taking the PSAT in your junior year. One extremely useful page is the SAT Study Plan area. This is your homepage from where you can navigate practice tests and questions, as well as tips on various sections of the test. 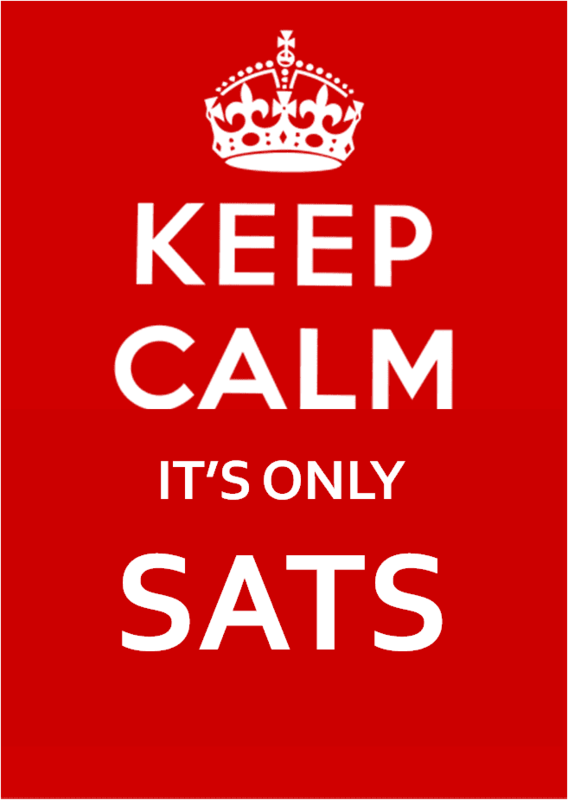 What’s even better is that it is completely customizable; those of you who have never taken the test before will see different content than those who have taken the SATs at least once. Plus, for those in the latter category, there’s even a page where you can get even more personalized feedback based on your PSAT scores. You can check that page out here. Of course, purchasing a physical study book is always a bright idea. The upside of the College Board SAT support site, though, is that it has all the helpful strategies, tips, and practice tests you’ll find in a book, with the added benefit of being free and only a click away. Maximize your time by receiving the SAT Question of the Day by email—you’ll be studying every day without even realizing it. Finally, here’s one really helpful study material you might not have heard about… SAT Vocabulary Novels. If you struggle with the SAT Vocab section, as most students do, the absolute best way to expand your vocabulary is by reading. Seeing words in their context is infinitely more helpful than memorizing definitions on flashcards. It also ensures that you remember those words for far longer. The SAT Vocabulary Novel series contains books of all genres, all geared towards teens. Take Rave New World, for example, a futuristic dystopian novel about love and addiction. These books intersperse the most popular SAT words throughout, then highlight them with definitions at the bottom of the page. Really useful stuff to get you familiar with that intimidating SAT lexicon, and way more riveting than the dictionary. Insider Tips: I used to tutor juniors and seniors for SAT and ACT prep, and in each student the greatest (and fastest) progress I saw was in the Writing section of both tests. In the SATs this consists of the question sections “Improving Sentences,” “Improving Paragraphs,” and “Identifying Sentence Errors,” as well as the 25-minute essay portion of the exam. If you’re cramming before the next test and want to see improvements quickly, my best advice to you is to take a crash course in grammar and punctuation. Many English grammar rules are never properly addressed in school; your teachers may encourage you to use the semi-colon to appear smarter, but never actually instruct the rules of using it properly (semi-colon intended!). Find out the rules of subject-verb agreement, parenthetical clauses, independent vs. subordinate clauses, comma usage and other marks of punctuation, pronouns, and especially subjective vs. objective pronouns (in other words knowing when to use who and whom). Study up on the basic mechanics of writing and I promise you’ll see a huge improvement in all sections of the SAT Writing test. Click on the hyperlinks to OWL Purdue for more info on each rule, then follow-up with specific questions for your English teacher. Having somebody guide you through these grammar rules will make them so much easier to understand. Unfortunately, grammar is largely left out of the high school rubric, so a little extra effort is required on your part here. Important Dates: The next available testing date is June 8th. Registration must be purchased by May 3rd. To register, head to actstudent.org. Study Materials: Like for the SAT, the ACT official website provides test prep support and practice tests. You can access these resources from the ACT test prep page, here. Since the site is less engaging than the SAT’s, though, I recommend that you purchase an ACT prep book—I used this one when I tutored my students (it’s the official one put out by the ACT company). However, similar strategies do apply for both the SAT and ACT’s Writing and Math sections, which means that some SAT test practice in those areas will still benefit you greatly. Compared to the SAT, the ACT is a little more straightforward in its questions, in my opinion, which is probably why it has grown so much in popularity in recent years. Many students find that they score higher on this test than on the SAT (though it’s a good idea to take both tests and compare your scores to play up to your greatest strengths). One prominent difference that sets the ACT apart is its Reading section. Rather than containing many short paragraphs, it consists of four articles in four different subjects: Social Studies, Natural Sciences, Prose Fiction, and Humanities. The varying subjects exist to test your abilities in gathering information and making inferences depending on the content at hand; for some this can be more difficult when reading fiction, for others the sciences are more intimidating. It all depends on what kind of learner you are—or so you might presume… In fact, the test questions in each category are all the same: you have to make inferences, identify vocabulary in context, understand the main idea of the passage, and so on. The best way to come to this realization is to practice the Reading test as many times as you can, which means that finding a study guide with numerous practice sections is imperative. Not only will this make you more comfortable with the multi-subject style of the Reading portion, but it will also help you figure out the time strategy that works best for you. Insider Tips: Yes, the ACT contains a Science section. No, you do NOT have to be a Science wiz to score well on it. Case in point: I, recipient of an English Lit degree and longtime scaredy-cat of anything Chemistry or Physics-related, was able to teach it. And before you fear for the poor souls under my tuition let me tell you this: by the end of the course, all of them excelled in the ACT Science section. I’ll let you in on the secret… Do NOT study Science to prepare for this test. This means don’t brush up on your periodic table, don’t familiarize yourself with Newton’s laws, don’t memorize conversion formulas or read everything available about the Higgs Boson particle in the hopes that it will make it onto the test, just DON’T. Someone with an 8th-grade understanding of Science can still do well on this test section, as long as the student recognizes that this is a test of your skills of comprehension. You will be given some data representation (simple graphs and charts), research summaries, and conflicting viewpoints of various experiments and studies, then asked 40 questions total. These questions will test your ability to form conclusions based on the evidence in front of you. Sometimes these experiment summaries (ones in the conflicting viewpoints category) are based on completely fictional Science, which means that many times the most scientific task you will be presented with will be to look at a line graph. No Higgs Boson particles here. Though on the surface this portion of the exam may seem more intimidating than the Reading section, the evidence is actually presented in a much clearer, more easily navigable format. If you can overcome your initial fears of Science, this section will be a walk in the park for you. And there you have it, the most important tips and deadlines you’ll need to know ahead of your next standardized test. Got any questions for a former SAT/ACT tutor? Ask in a comment and I’ll get you an answer. Good luck! How can I best organize my essay? What are some tips for writing a high-scoring essay on the ACT? Happy 87th Birthday, Harper Lee!